Updated 9/24/2017 Yoshihiro Sugai, whom we met at Ep. 21, was the animation director for this episode. 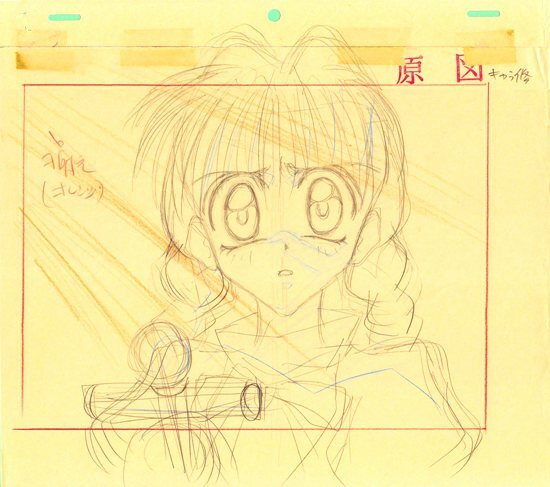 Thie sketch above, showing Maron holding the magical cross she needs to do her henshin, is one of the most effective images of this character in crisis. 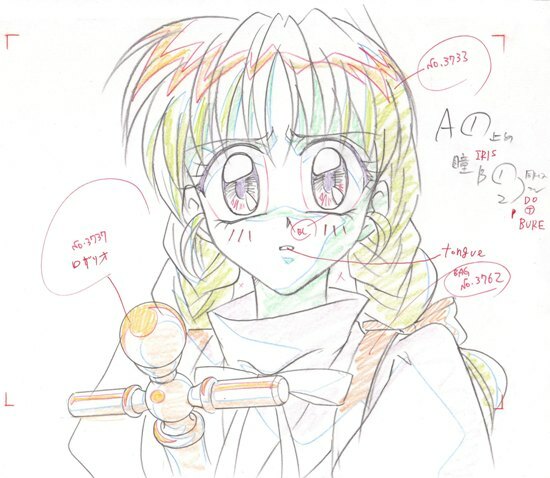 Sugai’s distinctive sketching style is very visible, and quite different from that of the layout correction seen in the previous item. It led to one of the key images from this episode: click the thumbnail for the beautiful genga, or follow this link to see the reanimated dougas.